Many dog owners - especially those with puppies, older dogs, or incontinent dogs - may have to deal with the occasional "leaks" in the house. If you have a young puppy, the best way to prevent that from happening is of course to give them proper housetraining so they won't pee as and when they want. However, if you have an incontinent dog or a senior dog, "accidents" can happen from time to time, and it is not the fault of the dog. When accidents happen, it is essential to quickly and effectively clean up the urine and get rid of that doggy urine smell in the house. Unfortunately, it's not easy if not done properly. If you do not use the "right stuff", the odor will linger and will even intensify on humid days. Dog urine is a made up of ammonia, nitrogen, uric acid, bacteria, and hormones. Uric acid contains crystals that are left behind even after the urine has dried. When there is moisture in the air due to, say, high humidity, these crystals are reactivated and that's why we can smell dog urine even long after we think we have cleaned it up. 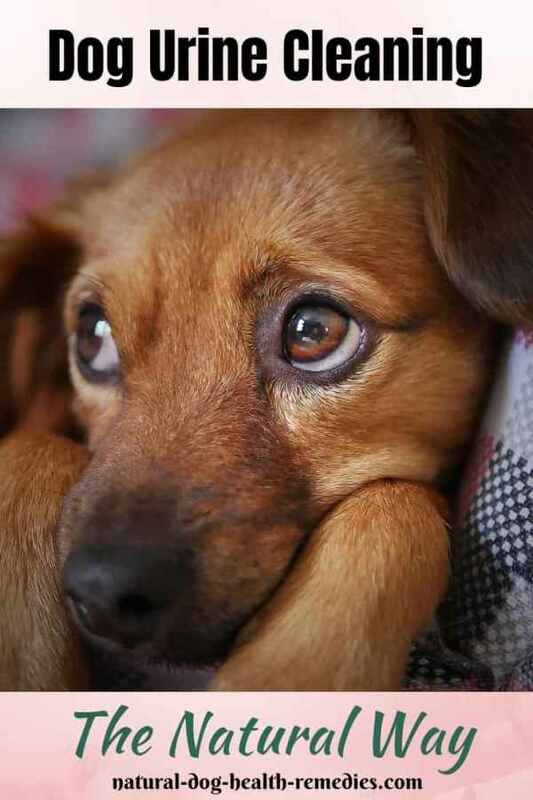 Since our dog's sense of smell is several hundred times more powerful than ours, it is important to clean dog urine and remove all odor completely; otherwise our dog will return to the place to do his business repeatedly. Using paper towels or a rag, absorb as much of the urine as possible. Pour water over the area, and dry it again using paper towels - Stop only when the towels are not soaking up yellowish stains. Spray or pour a natural cleaner over the area and let it "sit" for a while (depending on the cleaner you use - see below). 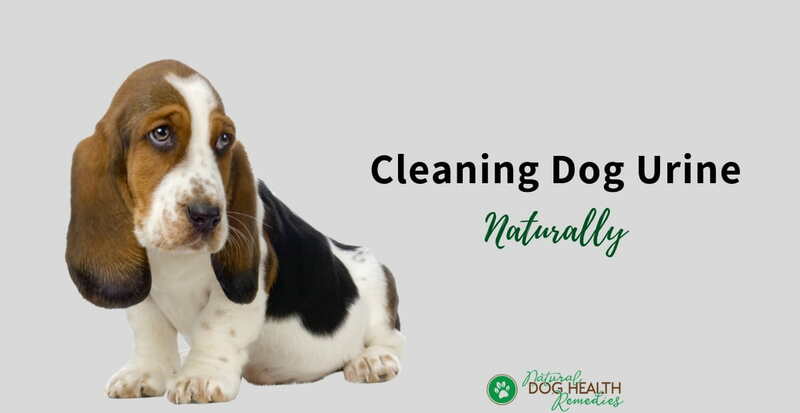 Cleaning dog urine doesn't mean that you have to use heavy duty chemical cleaners. Some simple substances that most people have in their homes are actually effective natural cleaners. White Vinegar is a good and effective natural dog urine cleaner. After finishing Steps 1 and 2 described above, soak the area completely with undiluted white vinegar. Let it soak in well and sit for several minutes before blotting the area dry. Baking soda is effective in absorbing odor. After finishing Steps 1 and 2 described above, pour enough baking soda to cover the affected area and let it sit for a few hours before vacuuming. Add one part hydrogen peroxide to two parts water. After finishing Steps 1 and 2 described above, pour the mixture on the area and let it sit for 5-10 minutes before blotting the area dry. Some people also use borax to clean dog urine since it is anti-bacterial. However, borax can be toxic - especially to small people and animals! It is reported that less than 5 grams of borax can kill a child or pet, if ingested. More commonly, borax is associated with skin, eye, or respiratory irritation. Therefore, use borax with care. If you are looking for a commercial dog urine cleaning product that is safe and environmentally-friendly, try this product! It is all natural and safe - it contains biocatalysts and enzymes and effectively remove pet stains and odors made by "accidents". Do you know how to remove skunk smell?